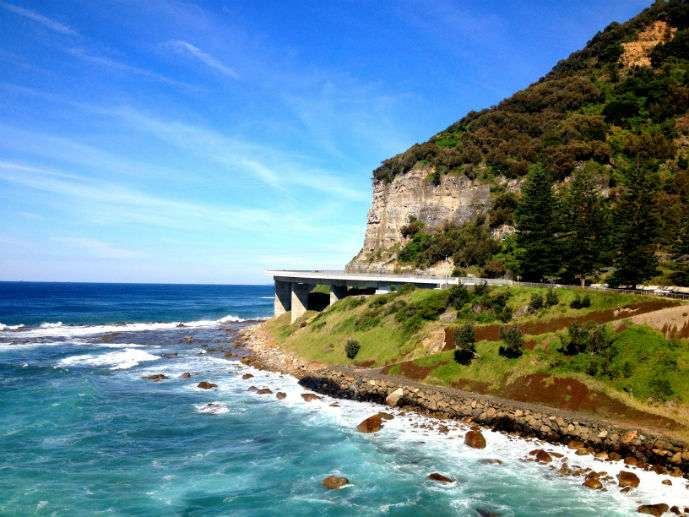 With over 50,000 km of coastline, Australia is home to some of the world’s most scenic coastal drives. 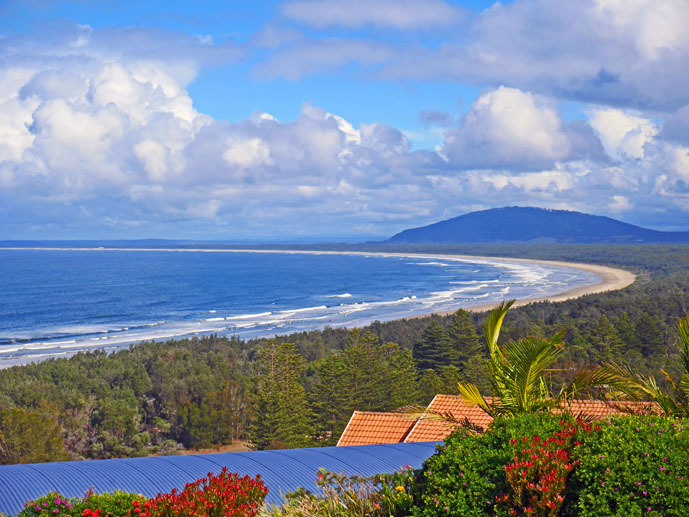 Whether you’re driving along the Pacific coast, West Australian coast or arguable the most famous Southern coast which includes The Great Ocean Road, I can guarantee you’ll find picture perfect ocean views, pristine, wild and untamed beaches and laid back coastal towns. Just a short drive from Sydney’s city Centre is the start of a drive that I’ve taken dozens of times and on a perfect blue sky day is one of the places in the world I’ve prefer to be more than anywhere else in the world. 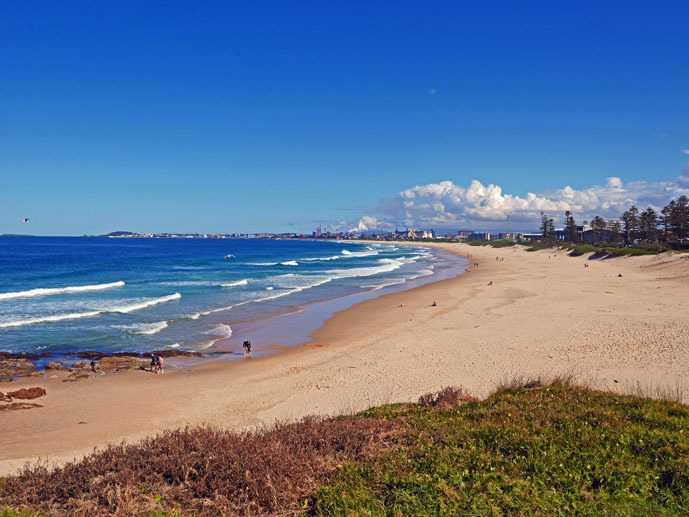 It encompasses everything an Aussie coastal drive is about, amazing beaches, scenic winding roads and pit stops and detours to laid back and interesting towns and attractions. I’m of course talking about the Grand Pacific Drive, a series of connecting scenic highways and roads along the New South Wales South Coast that include one of the world’s oldest National Parks, newest coastal bridges, picture perfect beaches, natural phenomenon’s, relaxed seaside towns and detours to scenic lookouts and country villages. The start of the drive is less than a one hour drive from Sydney’s city centre and driven straight without stopping takes just two and a half hours making it an easy day trip. However, I recommend you make a weekend of it to really be able to enjoy every km of the journey without feeling rushed. So, let me take you on a journey exploring the Grand Pacific Drive with this step by step, km by km guide to making the most of this incredible stretch of coastline and nearby attractions. The Royal National Park is the second oldest national park in the world after Yellowstone in the USA and is the start of the Grand Pacific Drive. The entrance to the park is in the southern suburb of Loftus just off the Princes Highway that heads south. This national park is 16,000 hectares bursting with natural Australian bush, rainforest, wildlife, great walks and some wild and untamed beaches. 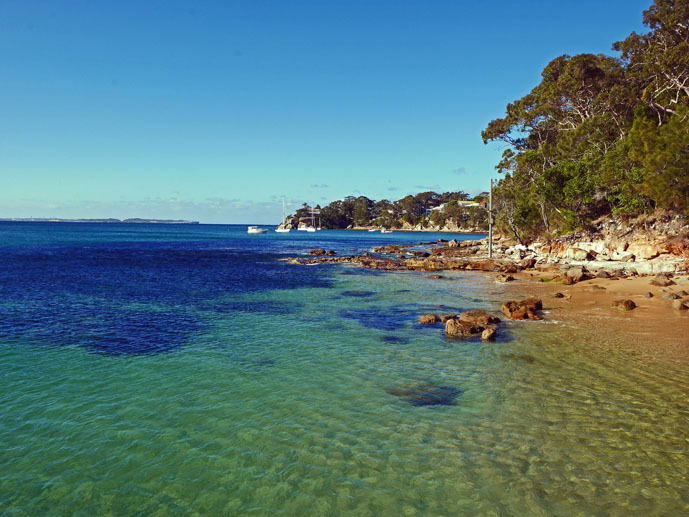 You could drive straight through but I suggest you make a few short detours off the main road to the tiny villages of Maianbar and Bundeena or popular beaches such as Wattamolla and Garie. If you have lots of time there are also some great walks you can do like the 26 km Coastal Track or for something a bit shorter try the Bundeena Road to Marley Track which takes about one and a half hours and includes walking through bush and heath, along a rugged beach and past the Deer Pond. When you come out the other end of the National Park you’ll hit the coast and a pretty spectacular lookout, Bald Hill. Looking south towards the beaches of the grand pacific drive and the Sea Cliff Bridge, it is the perfect place to take a few awesome photos, watch the para gliders take off and grab and ice cream from the Mr Whippey truck which seems to be permanently stationed there. When you pull out of the lookout car park take a left onto Lawrence Hargrave Drive. The next 10-15 km’s are some of the most scenic of the drive as you are driving right along the coast through quaint seaside villages and past picture perfect beaches. Along with making a few beach stops along this stretch, I highly recommend taking a walk over the Sea Cliff Bridge. Park the car on the southern end of the bridge and walk north along the pedestrian path. The bridge juts out from the massive cliff faces over the water and walking it rather than just driving over gives you an opportunity to really admire this amazing structure, ocean and coastal views and the sheer cliff faces towering above. The bridge opened in 2005 as a replacement for a dangerous stretch of road that use to hug the cliff face and was closed for two years. The old road was a hazard of rock falls and during bad weather it would be closed. Just after the bridge is the Scarborough Hotel, the perfect place to stop for a drink and a bite to eat. Sitting on prime waterfront real estate, this hotel is popular with day trippers and passing groups of motorcycle riders and includes a large open beer garden out the back with uninterrupted views of the ocean. 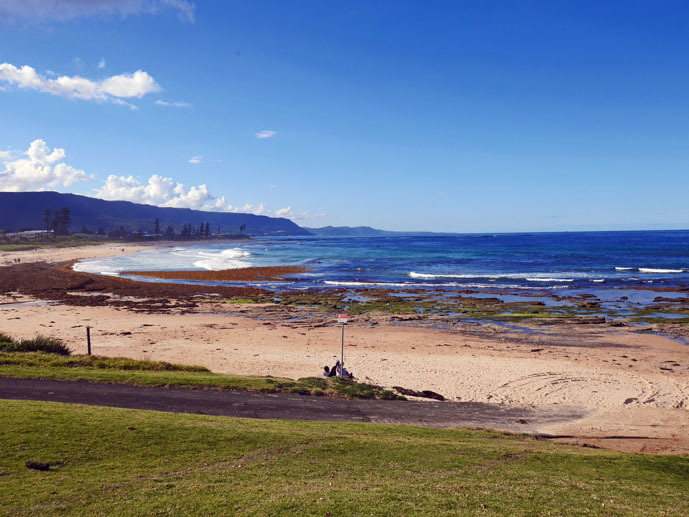 From here it’s more beaches perfect for swimming, fishing and walking and quaint seaside villages including very popular Austinmer and Thirroul. After Thirroul, the road heads inland for a few kilometres joining up with Memorial Drive. When you get to Bulli you will see the Grand Pacific Drive Route marker sign. Take a left and head back to the coast for more pretty beaches and sleepy towns. 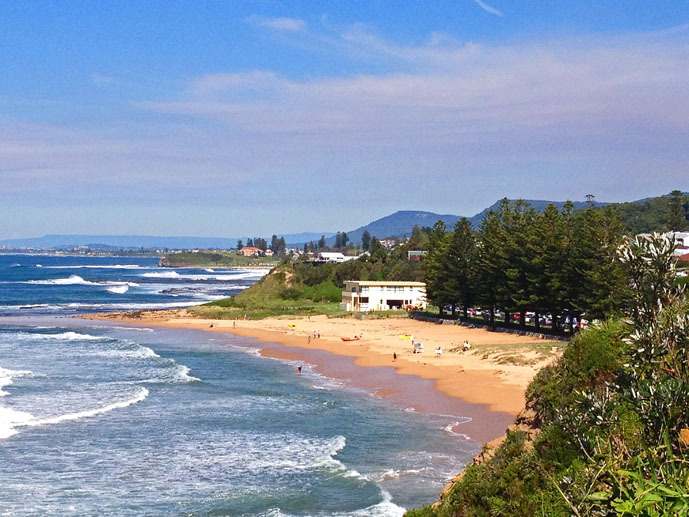 When you reach Wollongong, the biggest town on the NSW South Coast, you’ll first arrive at Northbeach. Find a parking spot and walk up to the lighthouse for great views of the beaches or take a stroll along the paved walkway. If your ready for lunch you’ll find plenty of cafes in the area including my personal favourite The [m]eatery serving up delicious food and perfect views of Northbeach and the lighthouse in a relaxed setting. 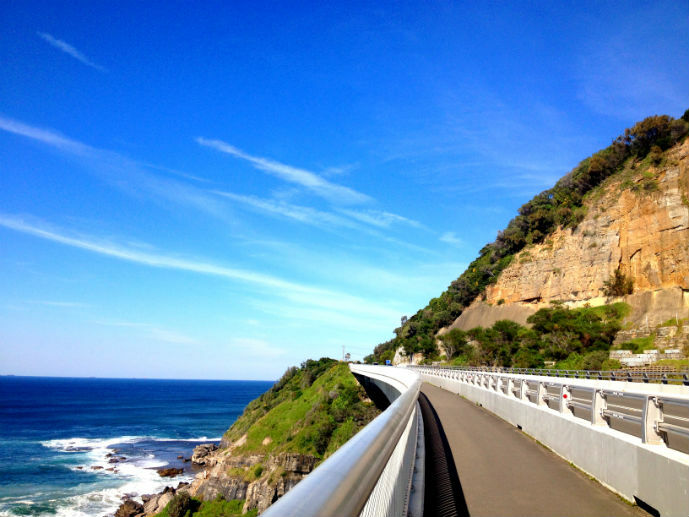 From Wollongong there are two small detours you can take. 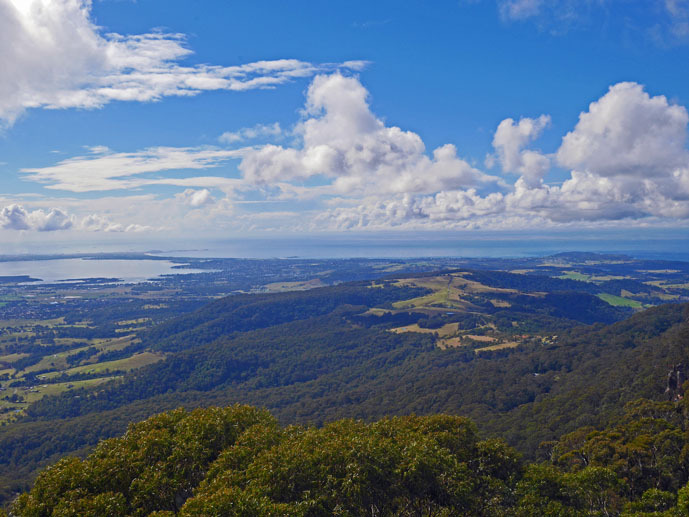 Head inland to the Mt Keira Lookout or visit the Nan Tien Temple, the largest Buddhist temple in the Southern Hemisphere. 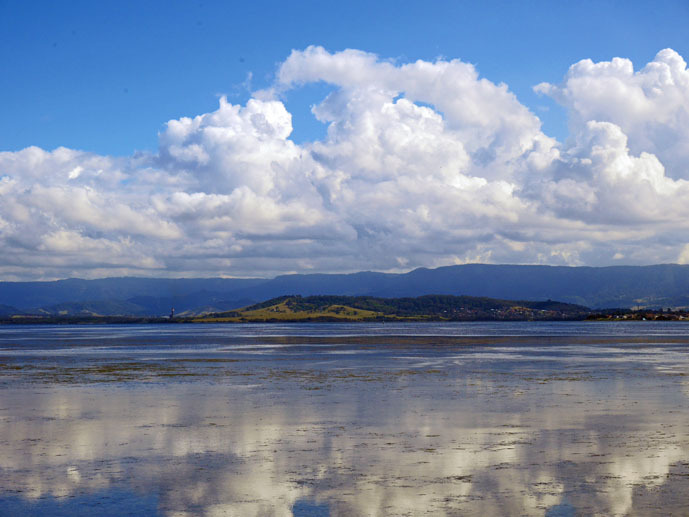 The next 10-15 kilometres of the drive take you away from the beaches again through Port Kembla industrial area and bring you out at Warrawong and the start of Lake Illawarra. When you get to Warrawong, take a right into Northcliffe Drive which will take you along the edge of the lake. There are a few nice spots to stop here and take a short walk along the water’s edge. Head back to the main road and continue along Windang Road which runs through a narrow stretch of land that separates the ocean and beaches on the left to the lake on the right. At Windang bridge, where the lake meets the ocean, is a great spot for fishing. Joining up with Shellharbour Road after the bridge, the road leads through large new housing estates. From here you can take a short detour to Bass Point and take a walk on the rocks around the point. The area is a marine reserve and is popular with scuba divers and snorkelers. 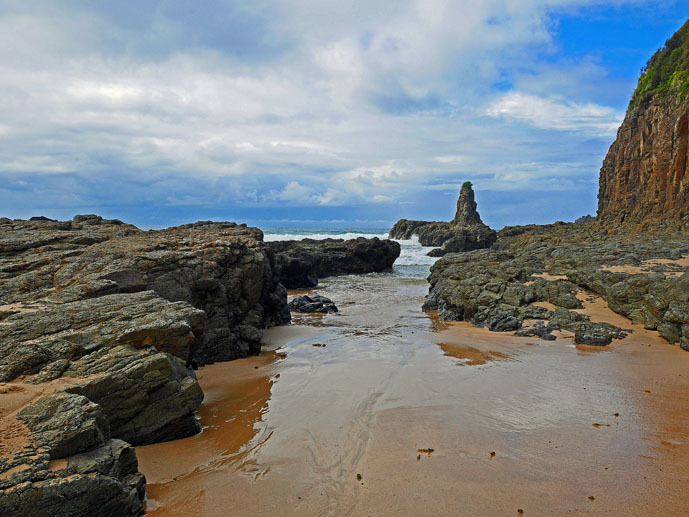 Quickly join up with the highway again before make a detour through Minnamurra and Bombo to visit the Cathedral Rocks. These volcanic rocks located at the southern end of Jones Beach have been eroded for many years, leaving mysterious rock formations which are popular with photographers. 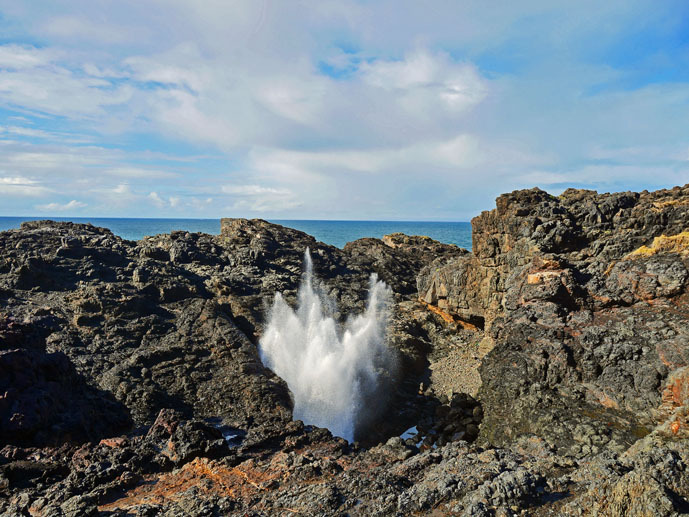 The Blowhole – This natural phenomena is basically a hole in the volcanic rock that stoats water metres into the air when the sea rushes underneath. It is said to be at its best when the seas run from the south east but having been there dozens of times myself, I haven’t left disappointed regardless of the sea direction. 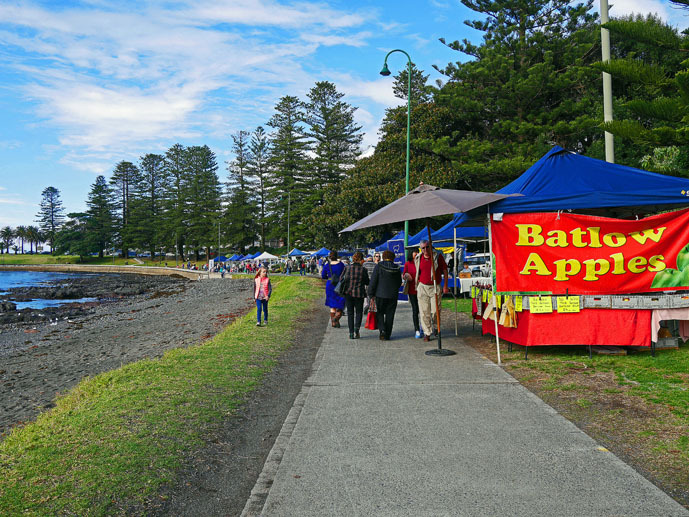 Kiama Seaside Markets – Kiama hosts two monthly markets, on the third Sunday of the month for handmade goods and the other on the fourth Saturday of the month selling local produce. 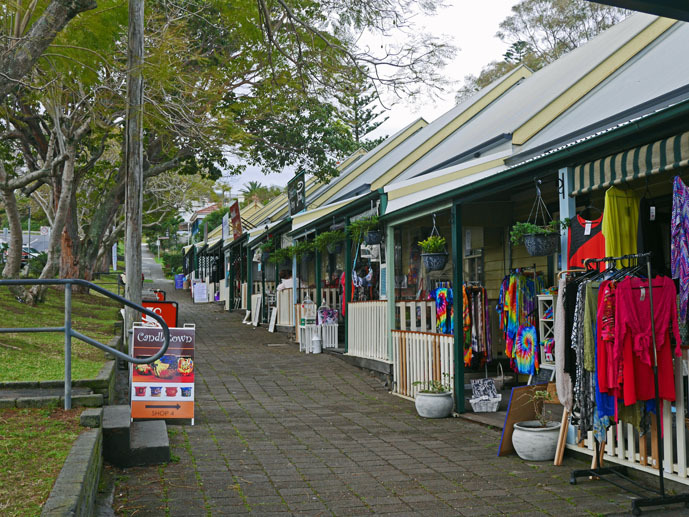 Terrace and Sandstone Walk shops – This small collection of shops are housed in restored timber houses circa 1886 which are the last of their kind. They were originally built by the local miners and today house boutique shops, restaurants and cafes. 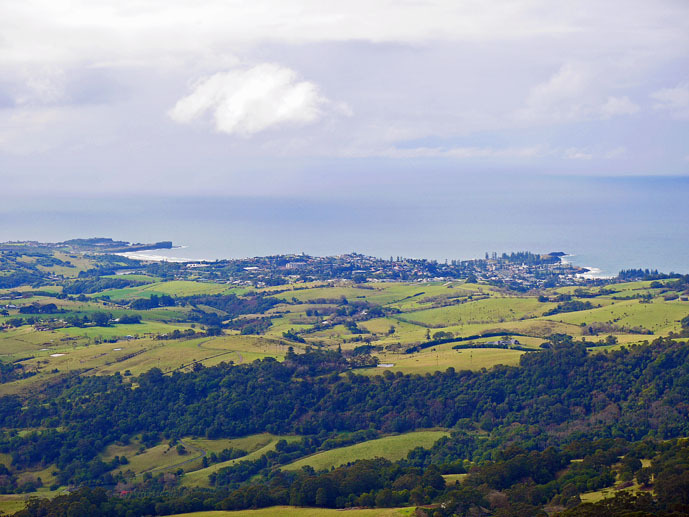 Kiama Coast Walk – This 20 km walk along a sign posted coastal track takes you from Minnamurra Village through Kiama and finishes at Werri Beach in Gerringong, south of Kiama. You can do the walk in sections or complete it in a whole day. The biggest detour of the drive is from Kiama out along Jamberoo Road. It will take a few hours to complete the detour which takes you through the Jamberoo Valley and up to the escarpment. To continue south along the Grand Pacific Drive after the detour just head back the way you came to the highway at Kiama. The first attraction is Saddleback Mountain Lookout. You’ll see the turn off for the lookout not long after you join Jamberoo Road. This spectacular lookout has 360 degree views and on a clear day you can see as far north as the sandhills of Cronulla and south to Milton. Even on a not so clear day it’s still worth it for views of the rolling green hill, Lake Illawarra and the coast at Kiama. Next stop Minnamurra Rainforest. Here you can take an elevated boardwalk through the rainforest and up to the Minnamurra Waterfall. Most of the walk is easy for all fitness levels and takes under an hour to complete. The road from here winds up through the rainforest to the top of the escarpment. It’s a bit of a hairy road that is barely wide enough for two cars at times so I recommend taking extreme caution. At the top is the Illawarra Fly Treetop Walk, a new attraction which includes a short walk through the bush and then out over the rainforest canopy on a purpose built steel walkway with incredible views looking north. It is simply breathtaking. The final part of the Grand Pacific Drive take you through some of the nicest beaches of the whole drive. First are the small sleepy towns of Gerringong and Gerroa. Gerringong has one of the best surf beaches in the area and is also bursting with great cafes, some with ocean views. 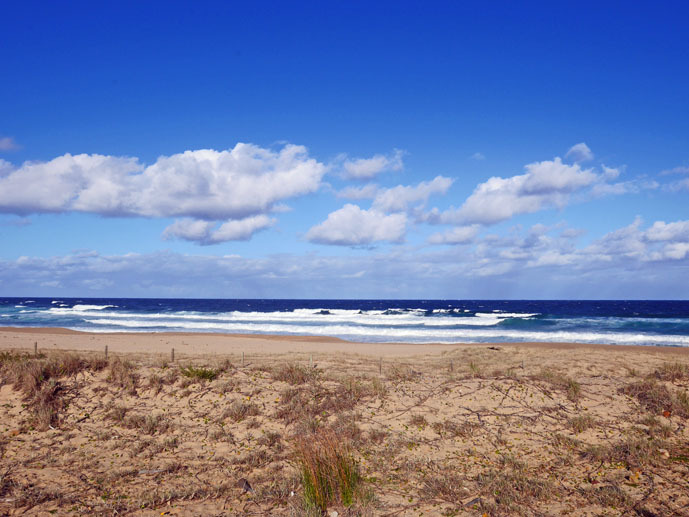 Gerroa is home to one of my favourite beaches on the NSW South Coast, Seven Mile Beach. Before you head down to the beach and mouth of the river, make a quick stop at the Kingsford Smith Lookout for stunning views of Seven Mile Beach and National Park. 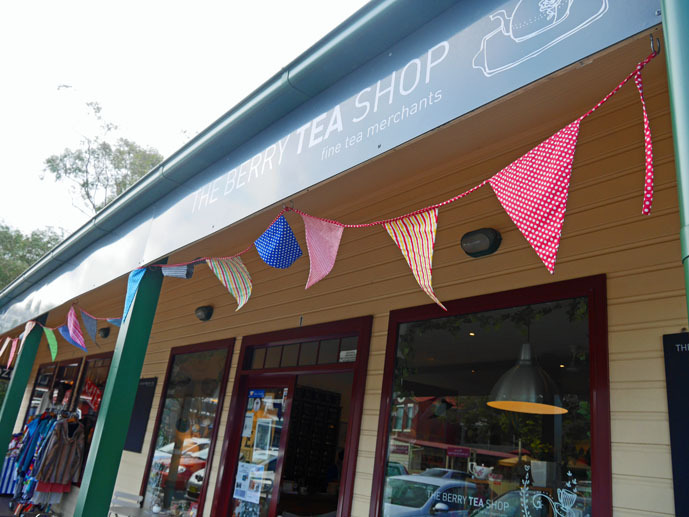 After Gerroa I highly recommend a small detour inland to the quaint country town of Berry. It’s just a 5-10 minute drive off the Grand Pacific Drive where you will find boutique shops, country pubs, trendy cafes and lots of people. This is the perfect place to find yourself some lunch and maybe grab an ice cream and browse through the shops. 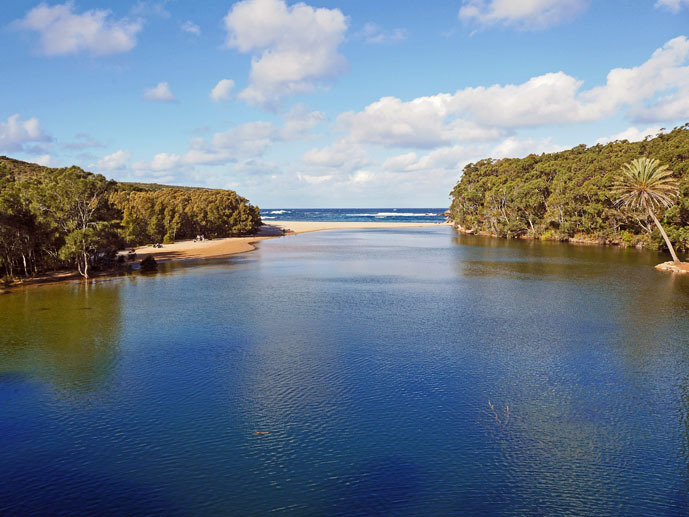 Head back to the coast for the final stretch of road through Shoalhaven Heads where the Shoalhaven River meets the sea and onto Nowra. 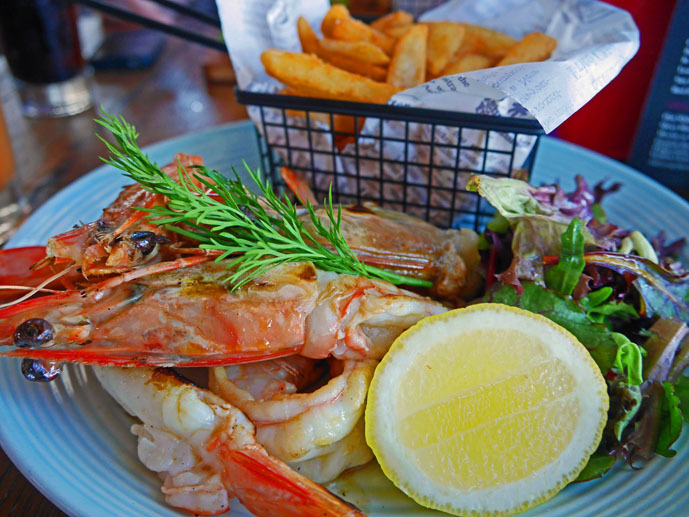 There are a few things to see and do here including visiting the local wineries, fishing in the river, enjoying Shoalhaven beach and exploring the Nowra town centre. Once the Grand Pacific Drive ends at Nowra you can choose to turn around and retrace your route or you could continue south to places like Jervis Bay and Batemans Bay or head north west through the Southern Highlands back to Sydney or south to Canberra. 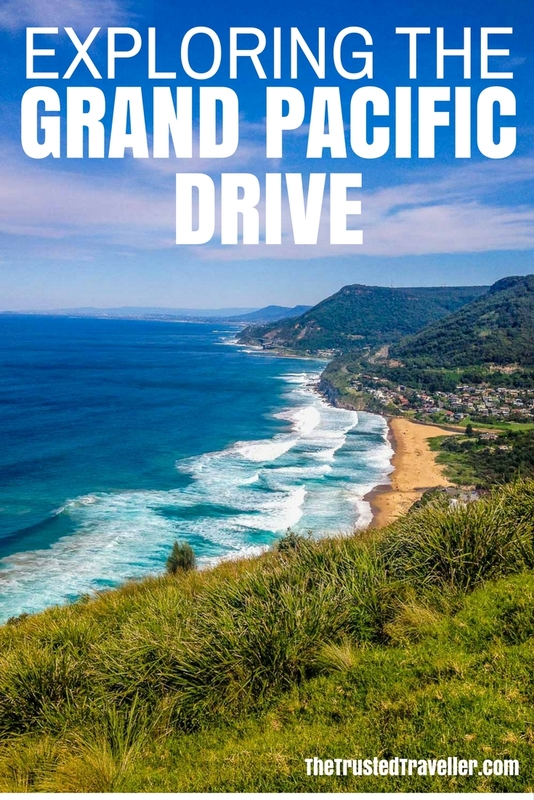 The Grand Pacific Drive starts at the entrance to the Royal National Park at Loftus in the southern suburbs of Sydney and finishes in Nowra. The whole route is clearing signposted making it easy to navigate without a map, however if you would like to obtains a map and more information you can visit on the information centres along the route or check out the Grand Pacific Drive website. Kiama is the perfect halfway point to base yourself for a night. 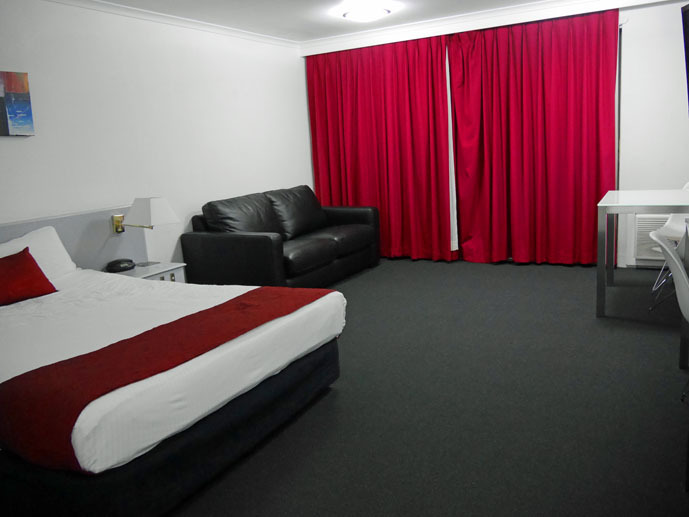 There are lots of places to stay for all budgets including hotels, motels and caravan parks. I recommend The Sebel Harbourside Kiama or for something a bit more budget friendly the Kiama Shores Motel right in the heart of town. What’s your favourite coastal drive around the world? The Cabot Trail is my personal fav here in Canada, but the Grand Pacific Drive has many more amazing beaches …. awesome in-depth post! Thanks Caroline. I’ll have to check out the Cabot Trail. Great post, this is definitely a drive I want to do sometime. I can’t believe I had never heard of the Royal National Park, it looks really beautiful and is so close to Sydney. Thanks Emma! I am so lucky to live on the doorstep of the Royal National Park and honestly don’t take advantage of it enough. I hope you get to do this drive and visit the Park soon. Heading down that way early next year, have bookmarked your great info for trip planning. Thanks! Thanks Toni. I hope you love it as much as me and feel free to get in touch if you have any questions. Wow! Such a detailed article Jen, I love epic drives like this, for some reason I have this idea in my head of wanting to drive through the centre of Australia from Darwin to Adelaide and going through Alice springs, is this doable lol? 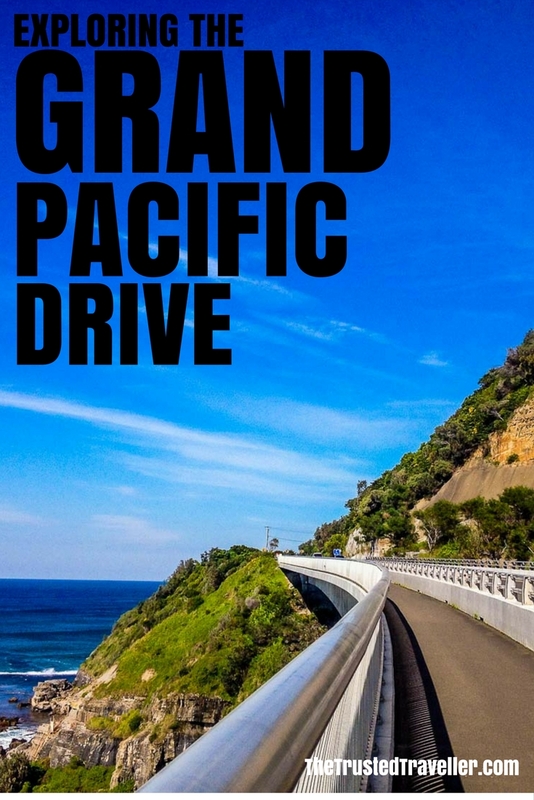 The Grand Pacific drive looks so scenic – I can imagine hiring a campervan or camping and doing this drive and stopping out on the beaches etc. The Sea Cliff Bridge looks quite spectacular – Very photogenic. I have an Aunty who lives on the gold coast, I think when I finally travel to Australia I could see myself doing this drive. I’d love to do that drive through the red centre too Paul. It looks spectacular! Is love to do the whole coast of Australia one day in a campervan. Maybe we could meet up doing just that someday. Thanks Rebecca. We are so lucky living close to such beauty. What a gorgeous drive! That view from Saddleback Mountain is stunning. It reminds me (just a little bit) of some of the views along the Irish coast, which was one my all time favorite drives. The Pacific Coast Highway in California is also gorgeous, albeit crowded. I’d love to do the Pacific Coast Highway in California one day. Actually it’s pretty high on my list right now so it’s like to happen very soon! I love this drive and this area. I got engaged at Kiama and this place will always have a special place in my heart. I would love to go back there one day and explore the region again, its just stunning 🙂 It is my favourite coastal drive in Australia! What a great memory to have of Kiama Ashlea. I hope you get there again soon. This is such a lovely little corner of the world! 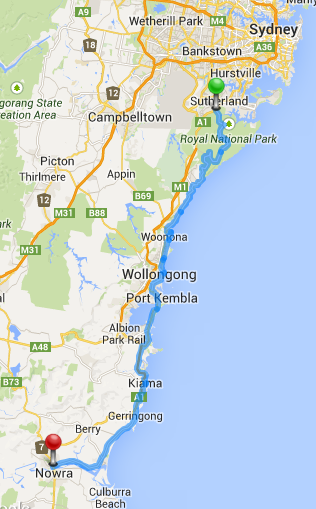 A girlfriend of mine lives in Wollongong, so I’ve done the drive as far as Kiama. Very beautiful scenery! Because her family has been in the area for many years, she says that apparently the blowhole used to be much bigger but has gotten smaller as the years have gone on. I wonder if that’s true? I also reckon the coastline is not bad to look at by train, either! A few times I’ve taken the train from Sydney to Dapto and the way it hugs the hills and gives you a gorgeous view out over the ocean is stunning. Stanwell Park looks so beautiful from the train. I don’t think I have ever seen the blowhole at its absolute best but I still always feel impressed by it. Gotta love nature. 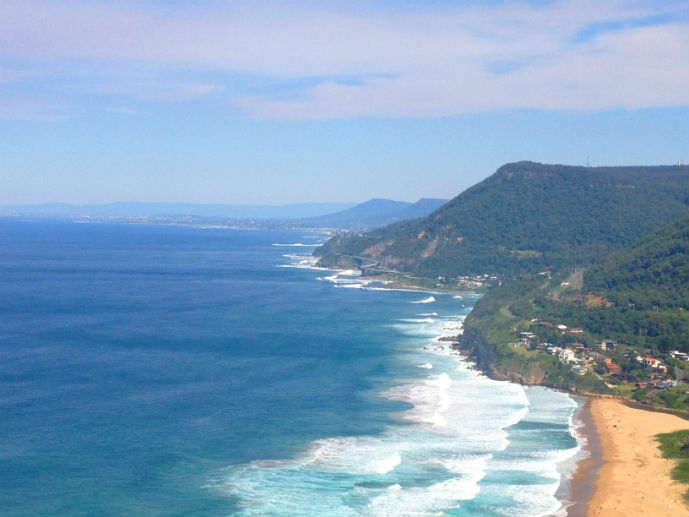 I’ve did the train trip recently myself and agree it is pretty stunning as it hugs the coast from Stanwell Park.